As I sit here, exhausted, still waiting for my toddler to fall asleep, while my 5 month old just woke up after taking an hour to get her to sleep, trying to spend what little time that is left in the day with my husband, I can’t help but feel defeated. I have mountains of laundry staring at me to be folded and even more that needs to be washed. My kitchen is a disaster and didn’t get cleaned today. There are crumbs all over the floor and couches. I feel like naps were the biggest struggle of the day, when Leilah finally fell asleep Samara woke up, giving me no time to get any work done. Leilah gave me grief during every meal today. I’ve forgotten to text my person back for the second day in a row (excuse me as I do that). Can you say bad friend? Not to mention, I haven’t worked out in weeks and feel like a blob. So…enough of the pity party. I know all moms have those days and feel like they didn’t get enough done off their to-do list, their house isn’t clean and they fought the kids about everything. So, instead of dwelling on all the things that didn’t happen the way I hoped they would, I’m going to focus on setting my days up for more success. From here on out, this is what I will be doing to hopefully have less days where I end up feeling defeated and wanting to cry. 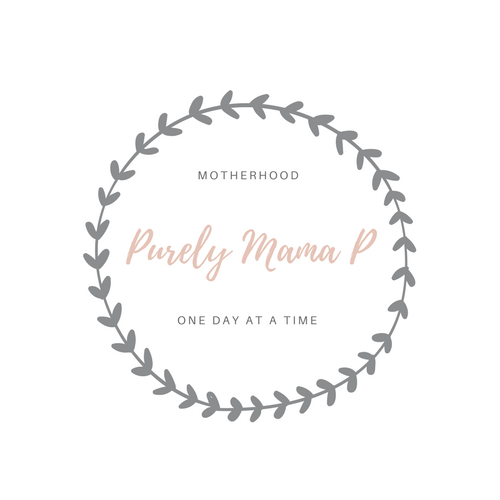 Feel free to do the same if you’re in that overtired, overwhelmed mom stage. Make a list of all my day to day priorities. The things that are most important for me to check off in order to feel accomplished. Make a list of all the things that are the most stressful in my day. So far, a lot of the things I am stressing over each day aren’t even on my priorities list. Now, when that doesn’t get done, I need to just accept it and move on. Ask for help. I am very blessed to have a supportive and understanding hubby. Even tonight he offered to finish loading the dishes in the dishwasher for me. He always tells me to ask him for help if I’m feeling overwhelmed, but my stubbornness kicks in. I need to acknowledge that we’re partners and he has my back. Take at least 30 minutes a day to do something for myself. Whether it is writing on this blog, painting my nails, doing a face mask, working out, or just watching That 70s Show. I am constantly putting myself on the back burner, but self care is a necessity and something I need to take more seriously. Now that this is established, I need to hold myself to it. What makes you feel overwhelmed? How do you overcome that feeling and take time for yourself? You are seriously the sweetest! Thank you so much! I keep hearing that it does get easier as they get older and can be more self sufficient. I love these days and how little they are and need me for things. But then at the same time I’m just dying for any alone time. I’m sure it will balance out eventually. Maybe by the time they’re 2 and 4. 😳🤷🏻‍♀️ lol thank you for being so thoughtful and encouraging! I know!! It’d be so nice if they’d stay little snuggly bundles AND didn’t need SO much work!! But oh well. Life is full of good and not-so-good. I’d say just savor the good and do what you need to relieve yourself of the hard things so you can enjoy the good as much as possible right now. 🙂 Blessings!! It definitely does balance out! girl, I got tears reading this because I’ve SO been there many times!! I completely agree that you need to make a priority list and make time for yourself!! We try to be super heroes as moms but we just can’t do everything and that’s OKAY!! I’m glad I’m not alone! it really is tough some times. But, as moms we need to go a little easier on ourselves.